John’s Children circa 1967 – blame it on the guy in the front row on the right. 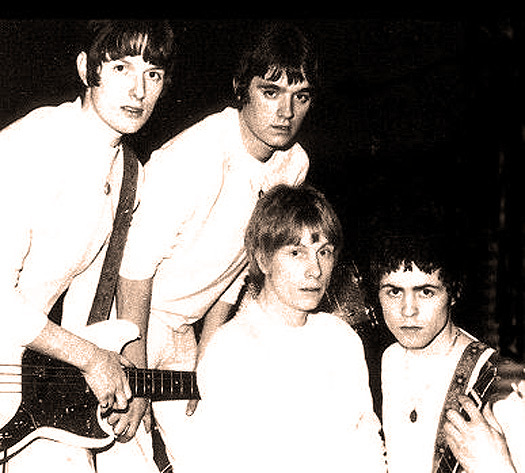 A band more people have probably heard about than actually heard, John’s Children were one of those fabled “you-had-to-be-there” bands that loomed high in the pantheon of Psychedelia, but in fact released only one (sort of) album and a string of singles and became largely known as the band that springboarded Marc Bolan‘s career. 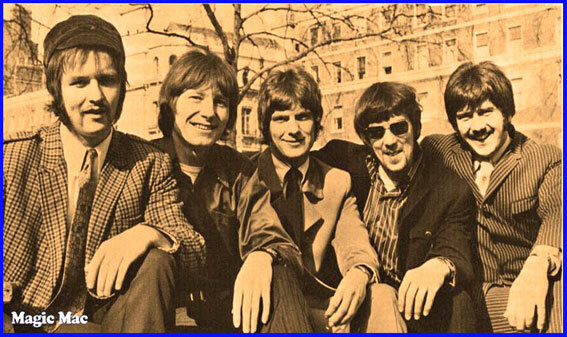 Their singles were banned from The BBC almost at the get-go. So their appearances there were rare, to say the least. 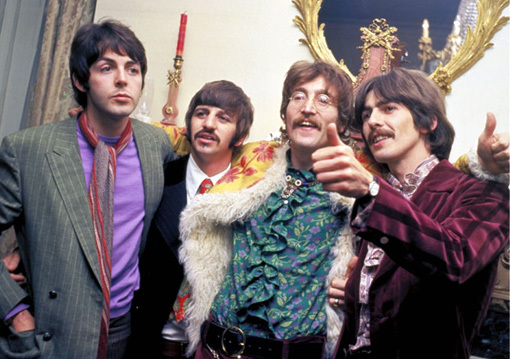 Here is one, from The Saturday Club at The BBC, broadcast on June 6, 1967. Bolan would leave the band soon after and launch the career that made him a household name. But in 1967, it was all still very experimental. Technical note – this broadcast sounds amazing – except for Daddy Rolling Stone, which is from another source. But rather than leave it out, it’s included because of the sheer historic importance of this appearance. Cannnonball Adderley – Live At The Hollywood Bowl – 1967 – Past Daily Downbeat. 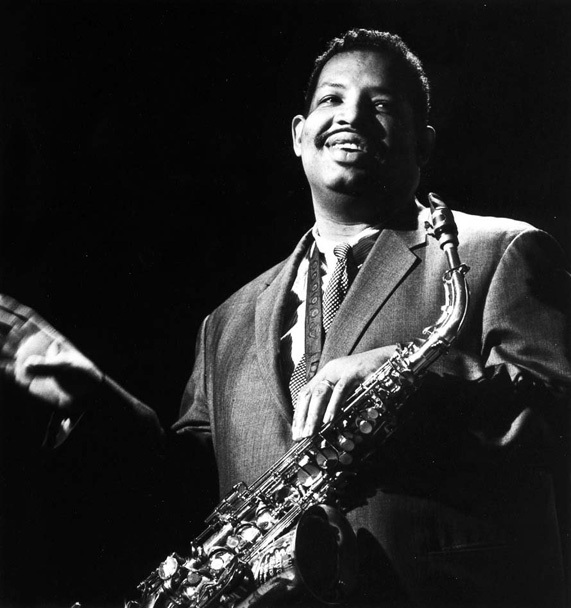 Cannonball Adderley – spreading the message to the Hollywood crowd. I ran this concert some time ago on my old website. But the player at the time was not that good and the sound wasn’t all that good either as the result. But things have changed and I’m slowly getting around to re-posting a lot of the older stuff in much improved sound simply because they are good concerts and deserve to be heard in the best possible light. This Cannonball Adderley concert from August 8, 1967 is one of them. Featuring an all-star lineup that includes Joe Zawinul on Piano, Roy McCurdy on drums, Victor Gaskin on Bass and brother Nat Adderley on Cornet, it’s one of those concerts that hasn’t been issued in any form (unless somebody pulled it off the site when I first ran it) and it’s vintage Adderley. And a nice way to kick off the new year with some solid sounds. 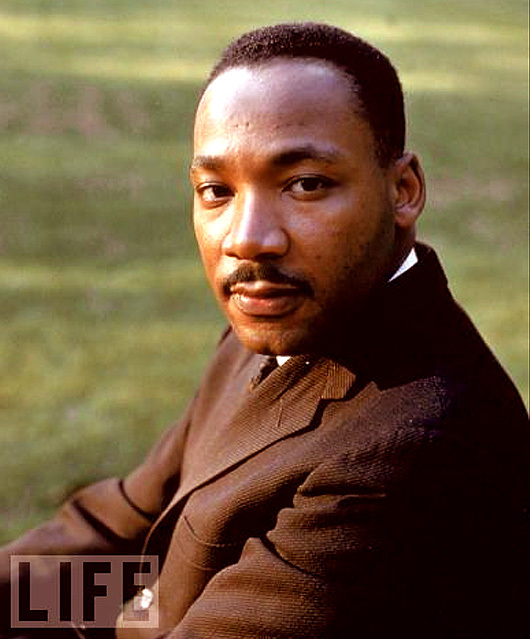 Dr. Martin Luther King – as relevant now as he was 45 years ago – maybe more so. With so much madness sweeping over the world this week, perhaps the words of Rev. Dr. Martin Luther King hold just as much, if not more, meaning and relevance than they did 45 years ago. Here is his legendary Sermon On Peace, given as part of the Massey Lecture Series from CBC Radio in Canada from 1967. The lectures have been repeated over and over; their message is as powerful as when they were first spoken. If you aren’t familiar with them, I urge you to sit down and have a listen to this one for starts. Here is that complete lecture, given as a sermon. The time is right. The message is clear. Cyrus Vance – attempting to run flak between the Greeks and Turks over Cyprus. Busy week, this first one of December in 1967. B-52 raids over the demilitarized zone in Vietnam came in at around 150,000 pounds. Still the fighting went on. Secretary of State Dean Rusk was slated to meet with Secretary General U Thant during his trip to New York in the coming week. Topics to discuss were Vietnam and Cyprus. 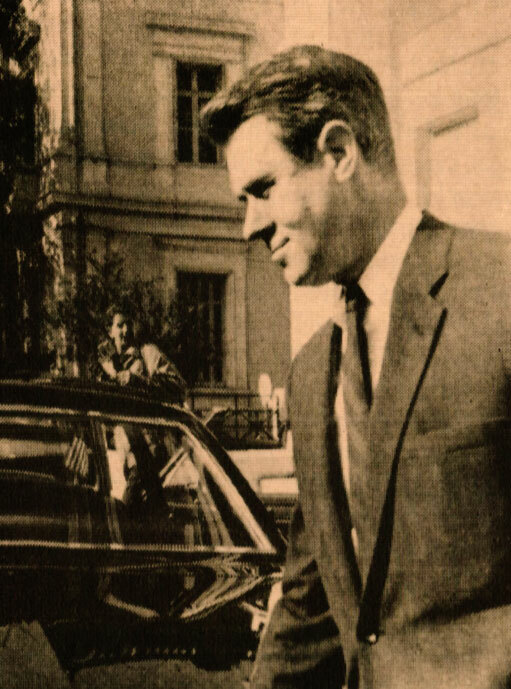 And speaking of Cyprus, LBJ’s point person Cyrus Vance was engaged in some shuttle diplomacy, going back and forth between Athens and Ankara, in an attempt to settle the Cyprus dispute. We seemed to be adept at solving their problems – but we were lousy at solving our own. Former Texas Governor John Connolly was adamant in his denial of rumors he was pegged to replace Robert MacNamara as Secretary of Defense in the coming year. A thankless job anyway. Meanwhile, speculation was rife all over Capitol Hill over who would be running for President in the 1968 election. Odds were in favor of Nelson Rockefeller for the Republicans, while the Democrats were mulling over overtures from Senator Eugene McCarthy. And December 2nd marked the 25th anniversary (in 1967) of the first self-sustaining chain reaction that ushered in the Atomic Age. All that, and a lot more from ABC Radio‘s News Of The World for the week ending December 2, 1967. Since we’re right in the midst of the Rolling Stones 50th Anniversary tour, I thought it might be fun to have a listen to some of the earlier stuff. So . . I dug up two concerts, given in Paris at The Olympia Theater. The first is from April 18, 1965 and the second is from April 11, 1967. You can get some idea is just how insane these early concerts were. 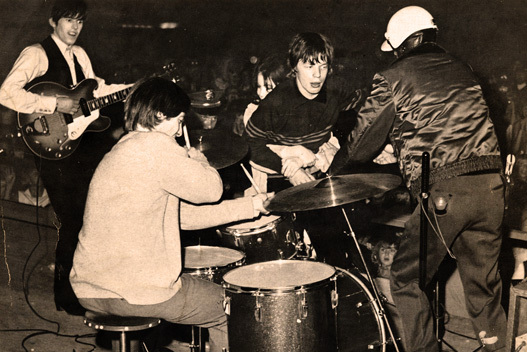 As was so often mentioned in the past, sound systems at concerts were crude at best, there were no stage monitors and with a sold-out audience, screaming at the top of their lungs, impossible to hear yourself, let alone bandmates. Given all that, these concerts (extended excerpts of what exists so far) sound remarkable. Thanks in no small part to the sound archivists, collectors and engineers who have labored for months over getting the best possible recordings and compiling them in a way that preserves the historic significance for people who weren’t around at the time. So if you’ve been watching the YouTube clips from opening night concerts of this latest tour, you might want to give these a quick listen, just to know what all the insanity was about the first time around. And believe me, it was insane.